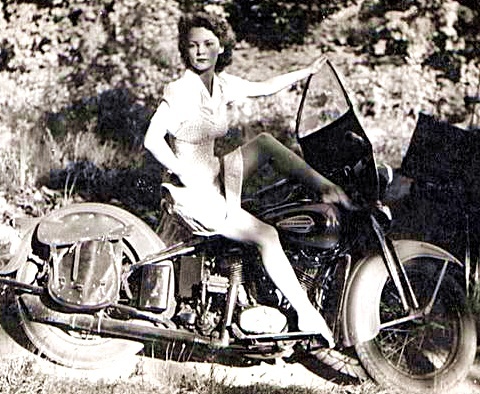 — it’s about gorgeous vintage (old) motorcycles. 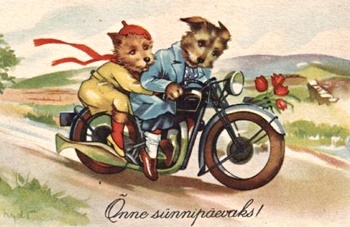 “The Best of Vintage British Motorcycles“. The writer asked if I liked any other kinds of sleds other than Brit ones…. was made in Germany, in the 1930’s. 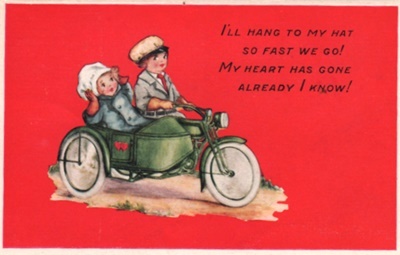 It’s called the 1934 BMW R-7. 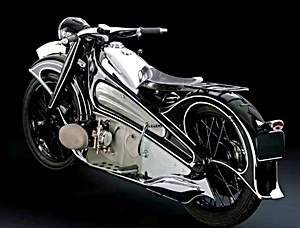 This one-of-a-kind concept bike was made by BMW in 1933, and designed by the renowned German engineer Alfred Böning. ——– but it’s beauty was much more than skin deep. 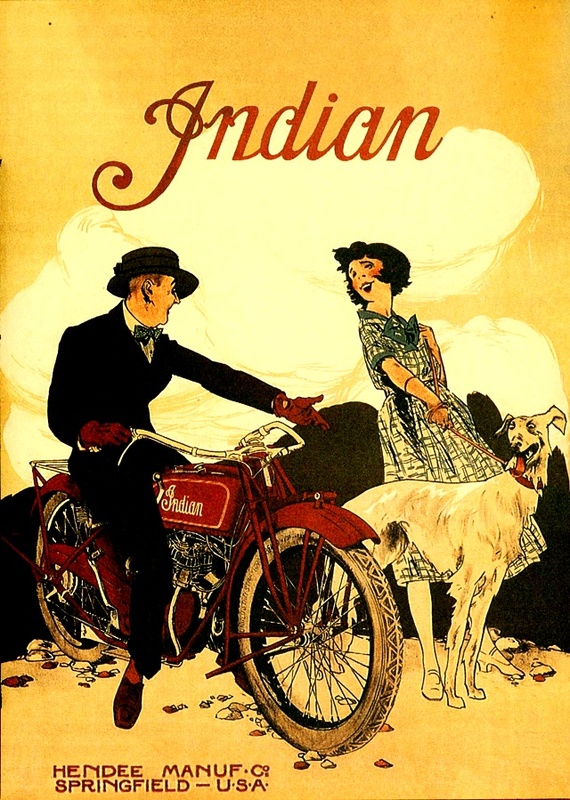 It featured a pressed-steel frame, and the first telescopic forks ever featured on a motorcycle. 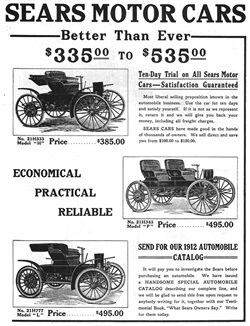 ….but could reach speeds of almost 100 miles per hour. 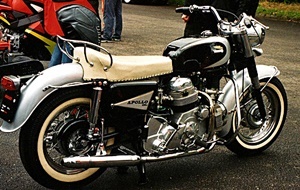 An automotive style shifter, controlling a four speed gear box, was mounted under the right handlebar. It hadn’t been seen by the public since before World War II. It had been a prototype for a new model, and with all the ‘excitement’ going on in Europe during the time, it was ‘put on ice’ until later. ……. and resides at the BMW museum near Munich. A bike that doesn’t get ridden, especially by ME, isn’t really living up to it’s cosmic potential, but it sure is pretty, anyway. I’m sure there’s other stuff I could say the same about, now that I think about it. 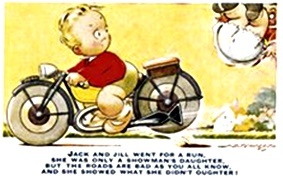 My second favorite is kind of singing the same tune as far as aerodynamics is concerned…. 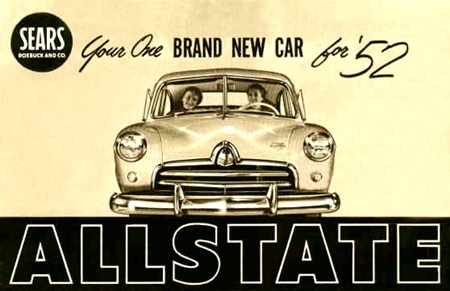 For instance, it came with full advanced instrumentation including a clock, and an integrated windscreen. Vincent’s “Black Prince” had also used a very similar setup. 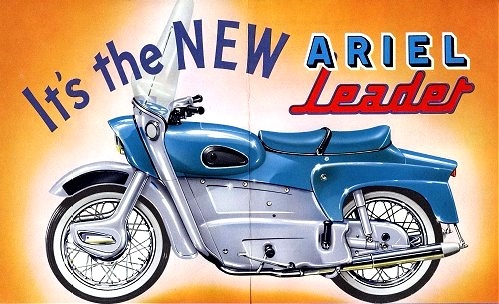 But, the Ariel promised a sharper, sleeker look, and offered an interesting array of colors, including red or blue offset with gray two tone paint schemes. 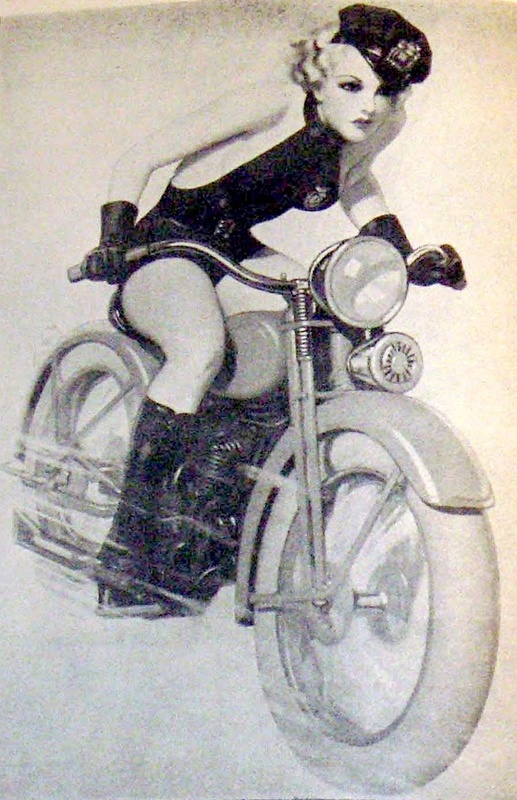 for 1959 “Motorcycle of the Year“. It was a really cool look . 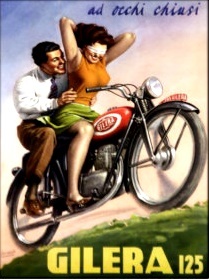 as a manufacturer of exotic Italian racing bikes. a crotch rocket, you’d still be right . 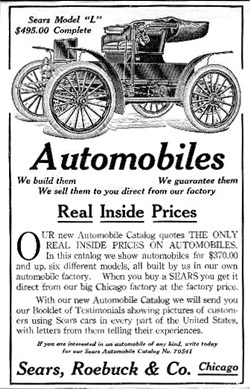 it never made it into mass production…..
and it would actually accelerate faster than it’s tires would tolerate…..
to take speeds over 90. Yoooooooooooooooowwwwwwwwwwwwweeeeee — that’s for me, man. 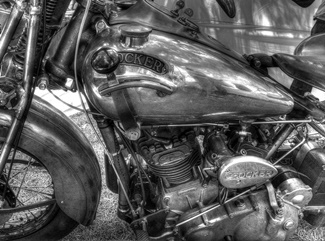 Hey, so be it, shovel head…. to make the whole read worth it. an incompetent mechanic like me. WLA , although I’d kill for one of them. 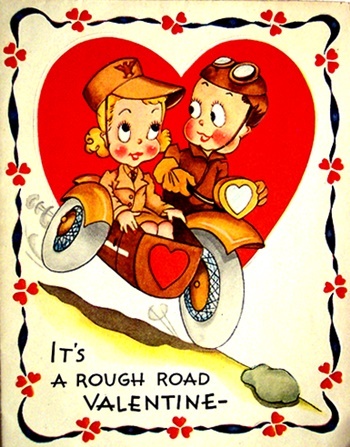 especially of the Indian Chief. 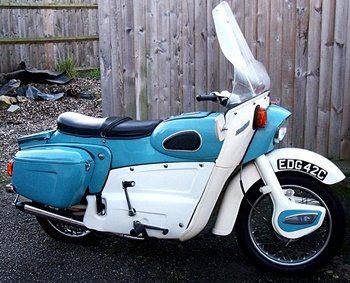 It’s this bike, right t’yere. 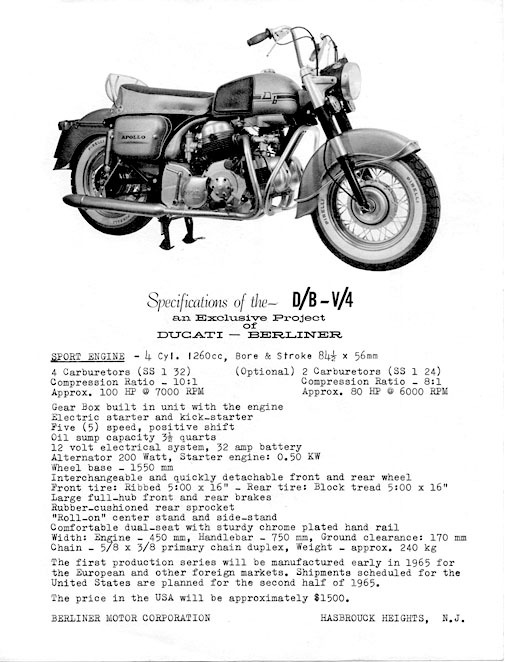 For fifty years, it was the largest displacement motorcycle engine to ever have been produced… up until 1993. 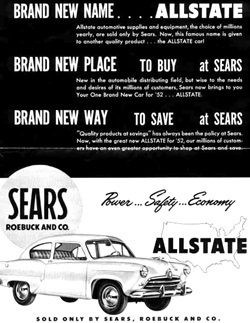 It was available in three colors– blue, red or black. 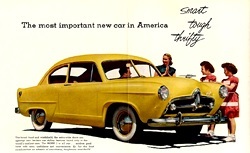 You did have three choices in trim color too…. and only four years before they went belly up completely. date in the lobby of the V-D clinic. Which kinda ruins it for me, but still. A Happy St Patty’s Day! identical to the Henry J’s. 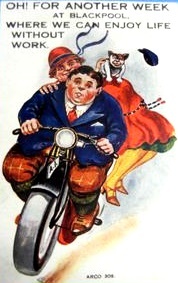 learn to ride a motorcycle. in half a decade or so. still say he ‘tried’ it. is what I think got him in the end. And I hope it never does. is special is several ways. “The Rolls Royce of Motorcycles” . 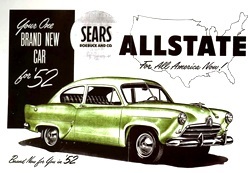 Only 383 of these were ever manufactured. 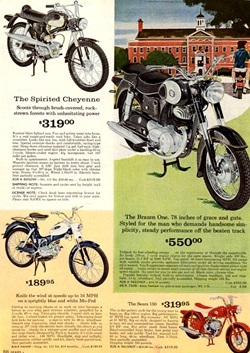 Each bike was assembled at the Nottingham Brough plant twice — once to place and fit all the components, then again after the parts were plated or painted. 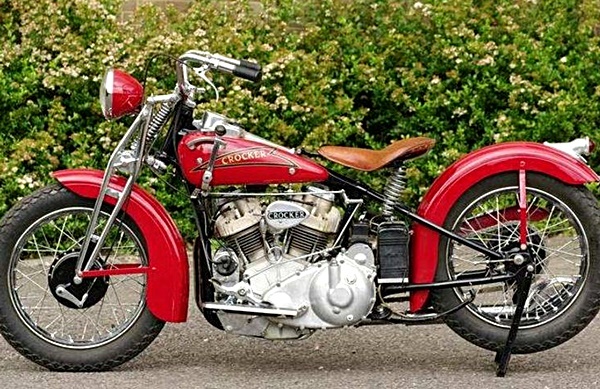 This gave the bikes an extra measure of quality control, and even though Brough stopped making these bikes 73 years ago, more than 1/3 of them are still extant. 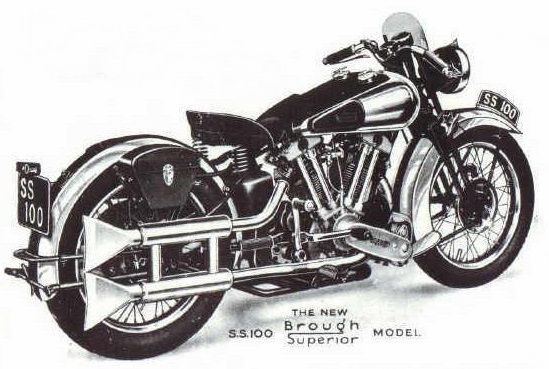 Every Brough Superior SS 100 was track tested before it left the factory — at 100 miles per hour. 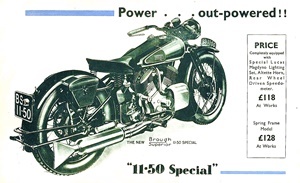 Another Brough model, the SS 80, got the same treatment at 80 MPH. If the bike didn’t pass, it was returned to the plant and redone until it did. 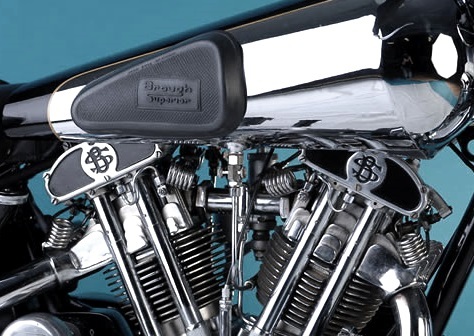 Every Brough bike was personally checked and certified by George Brough before it went to the customer. …..other than build quality, though. — as did famous adventurer T.E. Lawrence (Lawrence of Arabia) who died riding one of his SS-100’s in 1935. 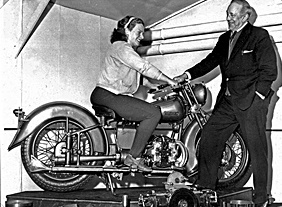 George Brough was said to have dedicated to customer satisfaction, and although Brough stopped manufacturing motorcycles in 1940 at the outbreak of World War II, he still produced parts for his bikes for many year after…. until 1969. 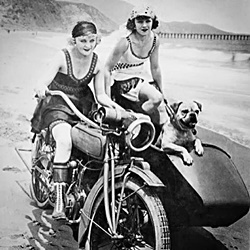 During his career, Brough produced just over 3000 motorcycles, plus an assortment of sidecars and accessories for the bikes. 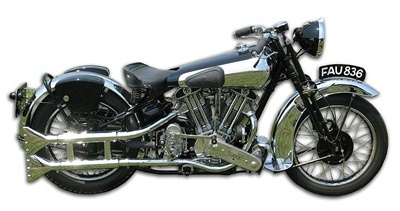 Interestingly enough, George Brough also produced 85 Brough Superior automobiles, between 1935 and 1939. 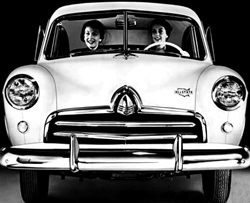 These cars used engines and chassis by Hudson, and the large majority of them were open touring cars, with custom made drop head coachwork. Today, a bike like this , from the thirties era, faithfully restored, will cost you somewhere around a quarter million dollars. One sold a couple years ago in Somerset, England for over $400,000. I don’t recommend you ask him to borrow it…. ………. see my post by clicking here. in 10 words or less ? would have a problem with that one. 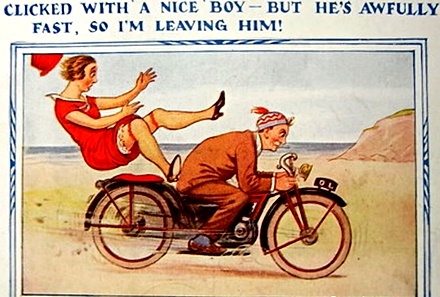 I’ve been a motorcyclist for …..
…… well, for some years now. well before even I started. 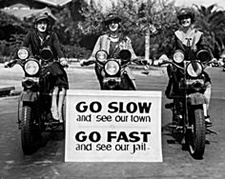 the first motorized vehicles for personal transport were motorcycles. But that’s not really what I mean. Depending on who you talk to. 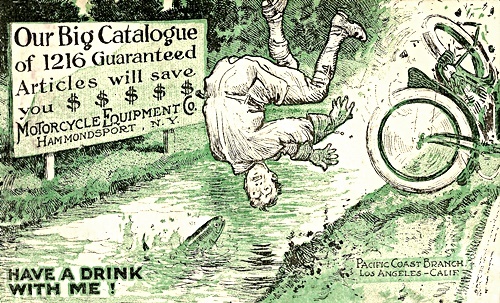 and just generally cool postcards. I think I might have hit the mark with these cards. — send me a scan! I don’t want anything like that. and share some fun and ideas with them. I have that, here — with you. — so thank you, every single one of you. Thanks much for reading, submitting, and supporting the Muscleheaded Blog, y’all. 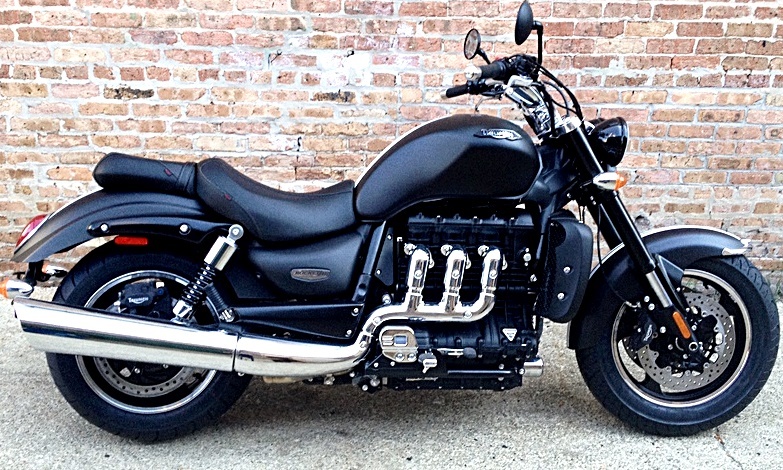 This, my fine reader, is the 2014 Triumph Rocket III Motorcycle. It is the largest displacement production motorcycle in the world. It boasts a 2294cc — that’s 140 cubic inches, now… triple cylinder, liquid cooled DOHC behemoth which will make 150 horsepower. IT WILL TEAR YOU UP on the straight. 0-60 in about 3. 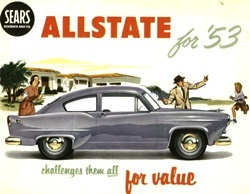 And if ya care– it gets about 40 MPG on the highway. Sticker price is only about 15G’s. 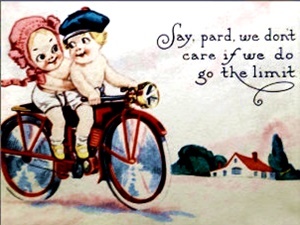 Better have a garage full of tires, though..
………………….. I think you will need em!